Hello there lacquer lovers! 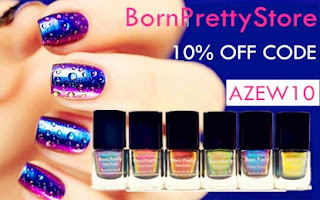 Today I have another awesome review for you for another Born Pretty Store product! 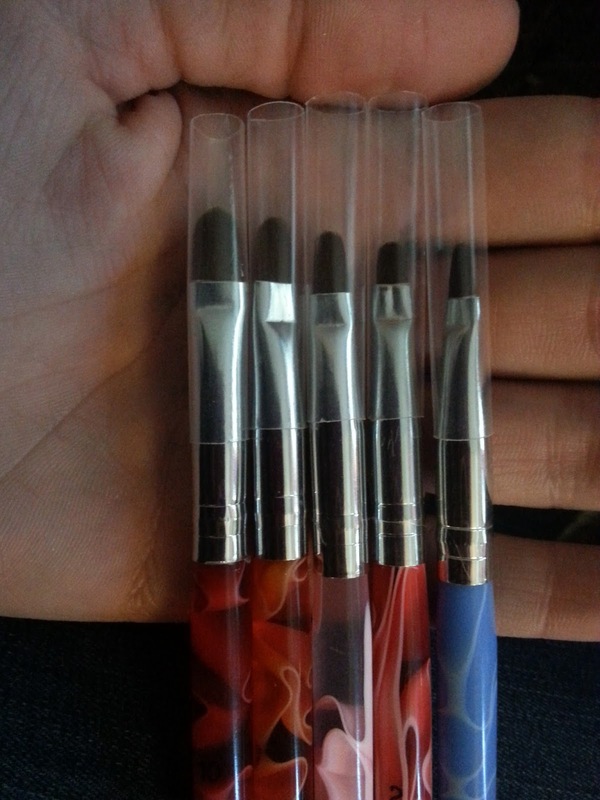 I absolutely loved the last set of sample brushes sent to me by born pretty so this set of flat brushes with dotting tool reverse ends was a natural choice for me to review for you. First as pictured above is the product as it arrived in package. 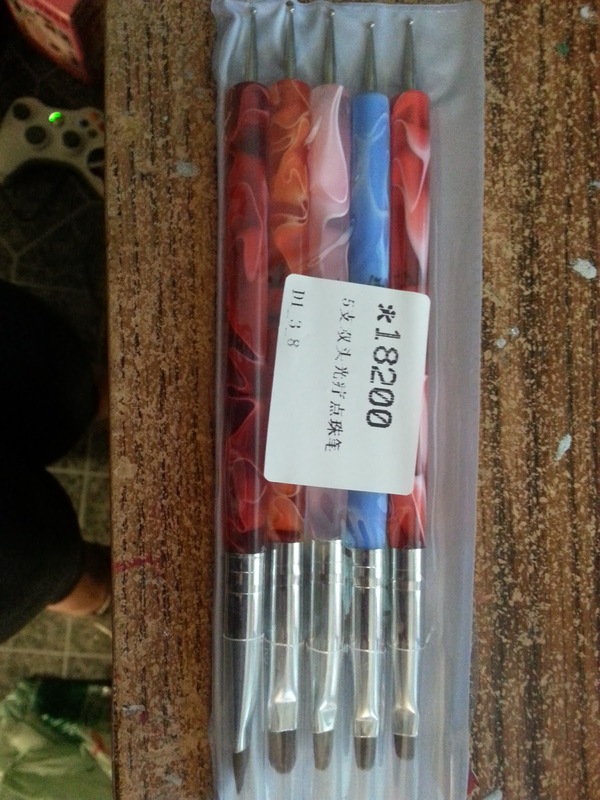 As you can see all of the brushes have protective plastic sleeves to make sure their bristles didn't get messed up during transit. The packaging is simple but very effective and of good quality. Here is a close up of the brush heads so you can see that they are all the same rounded wide shape in a variety of sizes. The first thing I noticed was how soft the bristles are, and how sturdy the construction seems. The handles are thick sturdy plastic and the metal ends are not easy to bend, and they seem firmly attached to the handles. 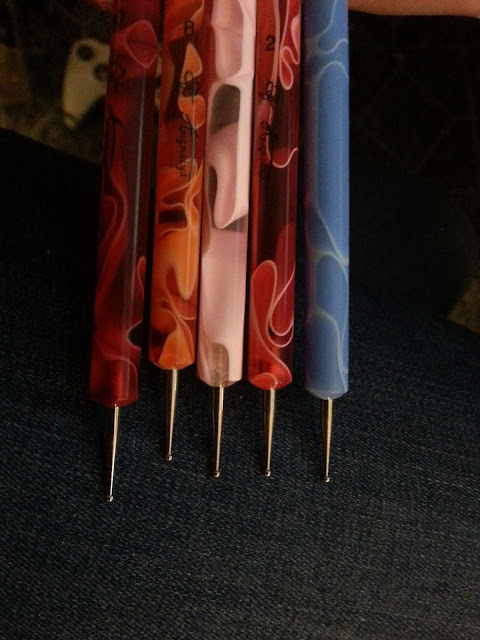 I also wanted to include a close up of the dotting tool ends. As you can see the dotting tools are all the same size. While this might not be desired for some - as you can see in my nail art using this product I was fine with it because the dots that the tools create are the perfect size for my nails. Here we have it guys! 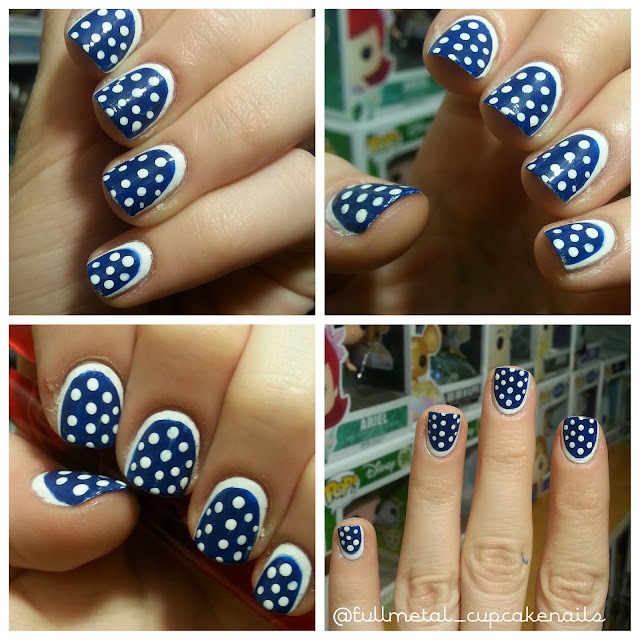 I created this sweet vintage polka dot nail art using these flat brushes. Thanks to their size variation I had a perfect size brush to paint the blue on each nail while leaving a clean white backing. I didn't use any tape, or vinyl for this nail art, I simply used the shape of the brushes! I then used the dotting tool for the white Polka dots creating an elegant classic almost pin-up look with little to no effort. I highly recommend these brushes guys, they are so easy to work with and so soft. I had no bristle fall, and the construction is sturdy so they should last you for quite a while. Since the bristles are dark, I also didn't notice any staining from the darker colors of polish which to me is a bonus. They clean very easily in nail polish remover (I use non acetone and it cleans perfectly). If you are interested in getting some of these brushes for yourself you can do so here on the Born Pretty Store website for only $5.99! If that price isn't low enough for you, please use my coupon code AZEW10 for an additional 10% off your order! Thanks for dropping by today guys! Hope to see you next time!